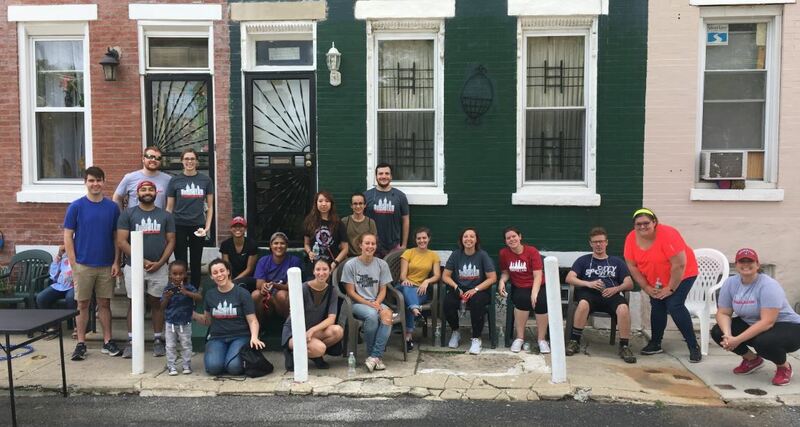 After a busy week of orientation, I was excited for the opportunity to get out of the classroom and participate in the 1L Community Service Project. I viewed it as an opportunity to discover the neighborhood where I am starting my legal career while giving back to the community. It was also an opportunity for me to connect with a smaller section of students that are service oriented. I knew coming into law school that I am a service-oriented individual and value public interest work; community service is one of the many ways to assist others. We volunteered with cleaning up a community maintained children’s park and the surrounding blocks. We painted fences, mowed grass, picked up trash, and cleared sidewalks from debris. After a few hours of work our host, Denise Armstrong, offered us beverages, snacks, and I finally had City View pizza. I am happy that I was able to connect with my fellow students in a relaxed environment and see the immediate impact of hands-on work.